Following the end of the American Civil War, the country's landscape transformed dramatically as it experienced economic growth, saw the emergence of various progressive social movements, and engaged as never before in international affairs. The drivers of these changes included presidents, political and business leaders, social activists, inventors, writers, and artists. 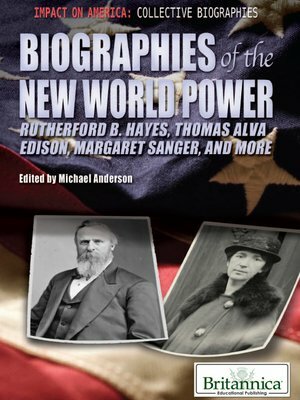 This engaging volume examines the lives of many of the noteworthy individuals of the time—including Andrew Carnegie, Susan B. Anthony, and Theodore Roosevelt—and the lasting influence they have had over time.